The remarkable journey of an artist (Shitang, Wenling, Beijing, China to London; 1970s – 2016): Starving is the first word that comes to mind reflecting on the vitality and accomplishments of an artist growing up under the Communist regime of Mao Zedong’s Cultural Revolution and its aftermath. For it seems Xiaolu Guo has been starving much of her life. Starved for food, family, freedoms, affection, love, individuality, dignity. 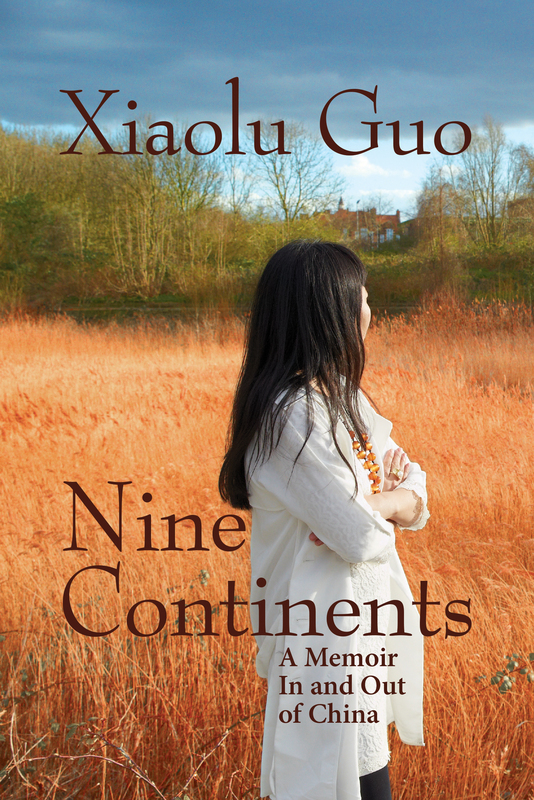 Named one of the Best Young British Novelists in 2013, Guo is part of what’s called the “Sixth Generation” of Chinese filmmakers, who came after the tragic events at Tiananmen Square in Beijing 1989. Drawn to the angry young artists of her generation who went underground to pursue their art since the State censored or jailed those who did not conform to it’s endorsement of art: propaganda. There can a time, though, when the writer-filmmaker recognized the only route for artistic freedom and creativity was to leave China, the homeland that shaped and traumatized her. That trauma is what makes her art profoundly essential to her being. Recipient of numerous awards for her novels, films, poetry, short stories, and screenplays – a body of work considered autobiographical, speaking to themes echoing an impoverished, unhappy life marked by “ice-cold loneliness.” The artist recalls “one of the happiest moments in my life” at six, when she met art students who painted out the bleakness into something magical. Other good things you can pinpoint: a couple of breaks that led to her artistic development, though she earned those with feverish dedication amidst fierce competition, and bonding with her biological father, whom she first met at fourteen. Also stunning is Guo wrote her memoir before the Me Too Movement. The China she writes of – in the seventies, eighties, and nineties – chillingly devalued women. Her parents gave her away (because they had a son? her father was imprisoned in a labor camp?, she’ll never really know) to a couple who lived in a mountain village raising yams and goats. Severely malnourished, they then gave her away to her grandparents who lived in an isolated “typhoon drenched” fishing village, Shitang, surrounded by the East China Sea – “always brown, churning the refuse and rubbish the villagers dumped in it every day.” By age two, she’d been orphaned twice. Nine Continents opens with an epilogue as Guo is now forty, having just given birth to a baby girl in London. Motherhood cannot be an easy feat for a woman who first met her biological mother in adolescence, leaving behind her grandmother to attend school in her parents’ compound in Wenling. A mother with a “heart of stone” who ignored and beat her. The author’s benevolent father brightened days when home. A painter for the State yet his artistic soul was tied to the sea, having also grown up in Shitang. People did what they had to do to survive; Guo hungered for more. The memoirist’s father influenced her environmentalism aesthetically and because of the devastating impact of China’s pollution, as he lost his ability to speak due to throat cancer; so many factory workers she knew were also cancer victims. “China has recorded the highest number of deaths due to pollution;” today, the country is working on solutions to this crisis. Literature offered salvation, comfort, inspiration. Walt Whitman’s “you must travel it [the road] by yourself” was a message that stuck. American and French writers, poets, and film directors are paid tribute throughout. Around twenty, the author earned one of eleven coveted spots at the Film and Literature Department of the Beijing Film Academy. Dorm life was still regimented like a “military camp” but at long last the author makes a friend, Mengmeng, her roommate, with whom the two open up about their sexual abuse “in the darkness of the girls’ dormitory.” Film school lasted six years, more years of barely sleeping and striving, working intensely by candlelight. The opportunity to study films didn’t turn out the way the filmmaker hoped for. “In China, creativity meant compromise.” So she applied and won a Chevening scholarship to study documentary filmmaking at Britain’s National Film and Television School in London, where new challenges arose. Xiaolu Guo may have felt anonymous for a good deal of her life but when one of her art films was screened at the Museum of Modern Art in New York “with a full house and then toured hundreds of thousands of international film festivals,” she’d clearly become someone known. Chinese traditions, sacred writings, superstitions, and folklore appear throughout the telling. The memoir begins with excerpts from one of China’s most beloved pieces of classical literature, Journey to the West. 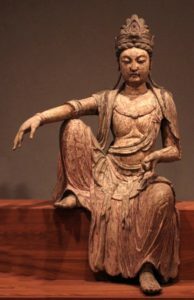 This Taoist and Buddhist legend written in the 16th century introduces each of the five parts of the memoir. While I don’t purport to fully understand the spiritual message, the Monkey King’s struggles seem to foretell Guo’s. Yet for all the “deadness at the centre of my emotional life,” Xiaolu Guo has written a life-affirming book. A timeless and universal plea cherishing human rights for all.